Veteran's Day is always an important day for my family but with the impending deployment of my youngest sister in a couple of weeks it seems to have even more of an impact. On this Veteran's Day I can't help but think of our newest Veterans like my sister and my brother-in-law. My youngest sister joined the Iowa Army National Guard at the age of 17. Following graduation from High School she went through Basic and AIT. Because of the duration of her trainings she started college late. You might not think this is a huge deal but it was hard to start school during the spring semester versus the fall. 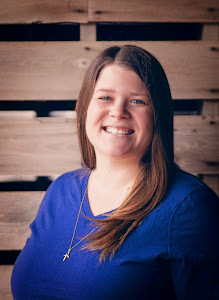 People had already made friendships and connections during the fall semester and it was just hard for her to really find and connect with a group of peers. Already at the age of 18 she was starting to feel the effects of being a soldier going back to the civilian world. Also while in college, my sister was deployed to Iraq. The deployment began part way through a semester and she would then be gone for a year, missing two more semesters. After she returned from Iraq she returned to school a year older, a year wiser, a year of more real-world experience under her belt. She also returned to taking classes with students usually one or two years younger than herself and most of the students she had taken courses with before had graduated. She just couldn't relate with this new group of peers. While she may have not been injured or seen any casualties, I do believe my sister came back with Post Traumatic Stress Disorder (PTSD). She had low ambition following her return and I think it was because she felt like she couldn't relate to others and she felt no recognition or understanding of what she had been through. Luckily, she found a Veterans Club on campus that helped with the transition. She could relate with others in the group. And in the end, her best friendships from college, were those of other Veterans. Once she entered the workforce I believe her symptoms of PTSD came back because she didn't have that peer group of Veterans anymore and she had a difficult time getting settled in employment. But I am happy to report that I feel like she has found her place and has been working for the Iowa Army National Guard for the past year. I've known my brother-in-law (he's married to my other sister) for a long time. In fact, my sister and him were high school sweet hearts. 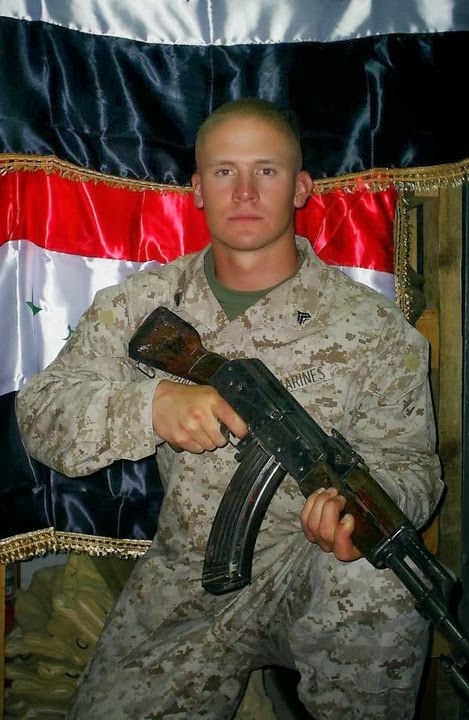 He wanted to be a Marine ever since he was a little boy and when he graduated from High School he entered the Marines and was stationed at Cherry Point, North Carolina for four years. During that time he was involved in two deployments to Iraq. Following his active service he returned to Iowa, married my sister and began going to college with others of a different generation. My brother-in-law was married and was living in a different town than the university and his classmates were recent graduates of high school and lets just say had different priorities and values then he did. Just like my sister, he too didn't get injured while in the service, but he had just finished living, eating, breathing the life of a Marine for four years. My brother-in-law figures it took him about five years to really find a network of Veterans. He hopes that for future Veterans, this only takes a week and that is why he is now involved with Team Red, White & Blue. I think Veterans for the last 100 years have always found it difficult to transition back to civilian life after the life of active service. Team RWB's goal is to help all Veterans with that transition. This national organization does this by creating Veteran communities around the country. These communities focus on both social and physical activities, or as my brother-in-law says, a group to "workout and hangout" with. Team RWB becomes a peer support network that I know both my sister and my brother-in-law were in need of. Team RWB also provides leadership opportunities for members involved by getting involved in Veteran Athletic Camps. 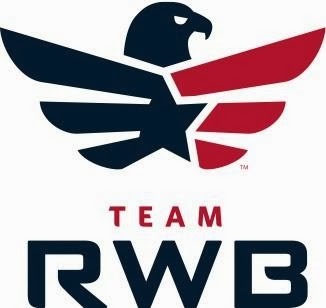 Team RWB communities around the country train for marathons, triathlons, etc. Team RWB chapters also associates themselves with a local VA hospital. Members travel and visit with the Veterans at the hospitals to hopefully help them work through anxiety, PTSD, medicine refusal, etc. If you know a Veteran returning to civilian life, tell them to check out Team RWB. My Brother-in-law is the Captain of the Des Moines chapter and feels very rewarded to be apart of the community. Thank you to both of them for their service!